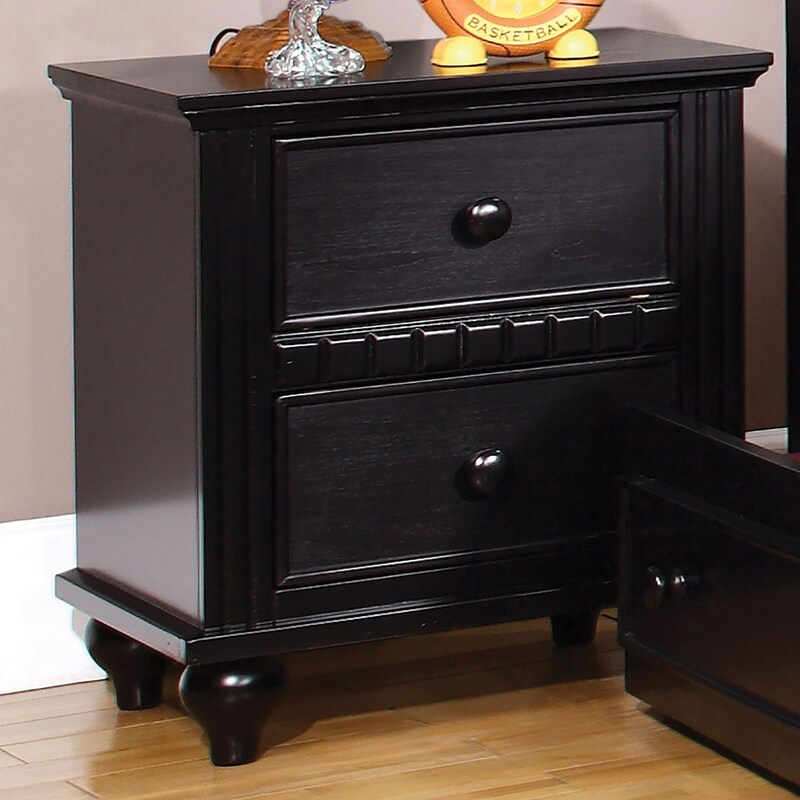 This country-inspired night stand is an excellent addition to any child's bedroom furnishings. Finished in white or black, it has little details that match the bed and make it special. The Caspian Transitional 2 Drawer Nightstand by Furniture of America at Del Sol Furniture in the Phoenix, Glendale, Tempe, Scottsdale, Avondale, Peoria, Goodyear, Litchfield, Arizona area. Product availability may vary. Contact us for the most current availability on this product. Browse other items in the Caspian collection from Del Sol Furniture in the Phoenix, Glendale, Tempe, Scottsdale, Avondale, Peoria, Goodyear, Litchfield, Arizona area.